The toll level on National Highway 5, one of Vietnam's most modern expressways connecting the cities of Hanoi and Haiphong, will climb soon, helping the investor ensure the project's financial viability, and raise capital for road quality maintenance and improvement. From April 1, 2016 the toll at two stations on National Highway 5 will be revised as per the Ministry of Finance's (MoF) Circular No.153/2015/TT-BTC dated October 2015. The new toll level for vehicles of under 12 seats, trucks of below two tonnes, and public buses will increase to VND45,000 ($2), up from VND30,000 (14 cents) applied from December 1, 2015 to March 31, 2016. Meanwhile, the highest toll level applied to trucks of above 18 tonnes will jump to VND200,000 ($9), up from VND160,000 ($7.3) also applied from December 1, 2015 to March 31, 2016. This is the second toll increase in the past five months. Acknowledging that such a toll hike could increase the burden on transportation firms operating on this route, Vietnam Infrastructure Development and Financial Investment Corporation (Vidifi), assigned by the government to manage toll collection on National Highway 5, said that the move was crucial to help ensure financial feasibility of the build-operate-transfer (BOT) Hanoi-Haiphong expressway project in which they acted as the developer. 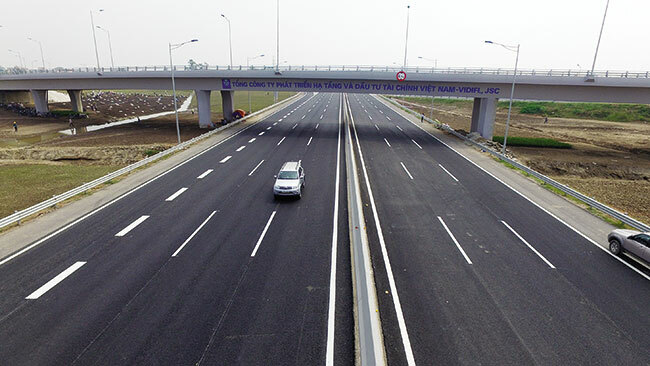 The 105 kilometre long Hanoi-Haiphong expressway was opened to traffic in early December 2015 after more than seven years of construction. To help the BOT developer recoup its investment capital of $2.08 billion, the government has permitted Vidifi to collect the toll on National Highway 5. In the initial period after the expressway was put into use, the developer was reported to bear daily interest payments of VND8 billion ($366,000). The developer estimated that only after 16 years of use, the toll collection on National Highway 5 would balance the interest payments. Meanwhile, it would take an estimated 30 years to recover the investment capital. According to Vidifi, the project's recently-approved financial plan would fail if Vidifi was not allowed to raise the toll level on National Highway 5. In addition, the toll revision aims to make good on Vidifi's promise with an undisclosed business partner who will be involved in the transfer of part of the BOT expressway contract.